Due to the nature of my work, I see a lot of people who suffer from slipped or bulging discs. After seeing a client yesterday, who had just returned to work after two months recovery from bulging disc, I felt it was important to write this article for all those currently suffering similar issues. Corrigo was there to assist with the rehabilitation stage of his recovery, to enable him to return to his full duties and prevent recurrence. 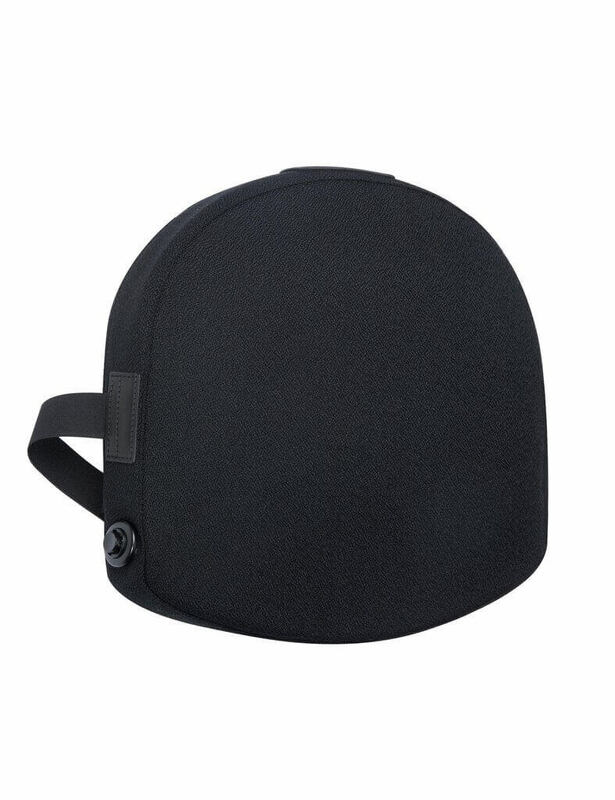 In this instance and all too often in other cases, the initial issues had been addressed through treatment, but the ergonomics in the return to work stage had not been checked. 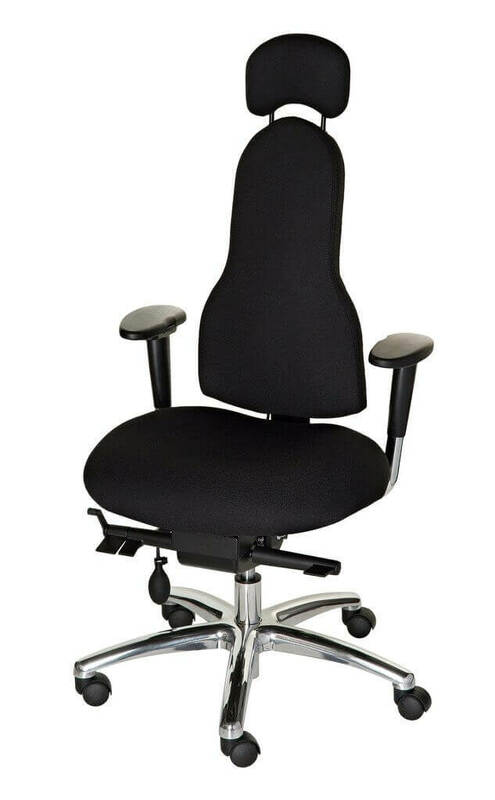 Ergonomics and ergonomic chairs is a vital part of the holistic healing process, ensuring a healthy posture at work reduces tension build up in the back and allows any treatment received to be effective. As a previous sufferer of sciatica, I also have first-hand experience of what works. It my case, an old injury and bad posture were the cause, healed through physiotherapy, exercises, regular pilates and correction of posture, both sitting and standing. So what does it mean to have a bulging disc and what are the best ways to resolve it? A bulging disc injury is a common spine injury sustained to your spine’s intervertebral disc. It can occur anywhere on your spine. It is commonly referred to as a slipped disc or a protruding disc. 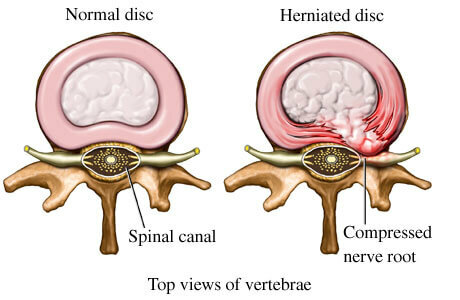 However, when the disc bulge is significant enough for the disc nucleus to come out of the annulus, it is known as a herniated disc. See diagram above. A disc bulge can potentially press against or irritate the nerve where it exits from the spine. This nerve pinch can cause back pain, spasms, cramping, numbness, pins and needles, or pain into your legs. A sudden increase in pressure through the disc causing fibres of the annulus to tear., such as an sudden unexpected load ie lifting a heavy load or an accident. 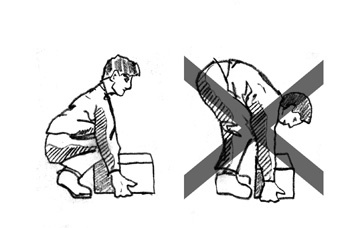 Always practice good lifting techniques such as bending the knees when lifting and not bending forward and avoid a sudden force where possible. Sciatica,pins and needles, numbness or weakness are commonly associated with more severe disc pathologies. Altered bladder and bowel function can indicate a severe disc pathology, which should prompt immediate medical assessment. An MRI or CT scan will show up a disc injury. See your doctor for recommendation for treatment and referral to other specialists. Most minor and moderately bulging disc injuries are treated conservatively without the need for surgery. Treatment will focus on encouraging the support structure of the disc to heal, encouraging the fluid to return and remain in the centre of the disc. A back-care specialist, such as a physiotherapist or osteopath, will advise you on the best positions to stay in and what to avoid. The healing process normally takes at least six weeks, so the longer that you avoid aggravating postures the better! The first step is to reduce the inflammation that is causing the pain and the final symptoms. There are an array of treatment tools to reduce your pain and inflammation. These include: ice, electrotherapy, acupuncture, unloading taping techniques, soft tissue massage and ultrasound. Your doctor may recommend a course of non-steroidal anti-inflammatory drugs such as ibuprofen. Heat packs can often be useful at the stage as well. As your pain and inflammation settle, your physiotherapist or osteopath will turn their attention to restoring your normal joint alignment and range of motion, muscle length and resting tension, muscle strength and endurance and recommend a range of exercises to facilitate this. A stretching program will be recommended and usually a remedial massage to address your tight or shortened muscles, to ease the tension build up. As your back starts to heal, attention will be turned to restoring your normal pelvic and spine alignment and its range of motion to allow you to return to your desired activities. Phase 4 – Long Term Recovery and Prevention of Recurrence. Back pain does unfortunately have a tendency to return. The main reason it is thought to recur is due to insufficient rehabilitation and compliance with key muscle exercises. It is therefore important that the prescribed exercise are continued in the long term, a least a few times per week. General exercise is an important component to successfully preventing a recurrence. Pilates, yoga, swimming, walking, hydrotherapy or a gym program are excellent in helping you stay pain free in the long term. Ergonomics forms a vital part in recovery and rehabilitation when returning to work, encouraging an open chested upright posture when sitting so the back can heal and tension build up reduced. Check your chair is supporting you correctly, taking a moment to check the settings, and remember to extend your spine when sitting or standing (not slouching). Also check your workstation is optimally set up to encourage this.